It’s that time of the year again, folks. As we close in on the annual hardware refresh window of the iPad, the number of rumors and reports keeps on increasing. 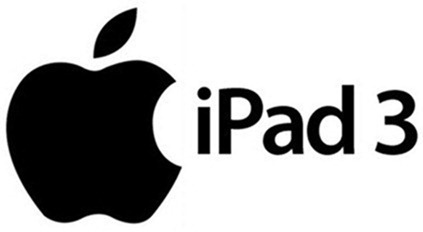 The latest of such reports claims that Apple is considering the production of a smaller iPad. We analyze the report after the jump! The report comes from Wall Street Journal (WSJ) – an international English daily – in which they cite “officials at Apple’s suppliers” who claim that the company has showed them designs for a new tablet device with a screen size around 8”. This tablet has the same screen resolution as the iPad 2 – 1024×768 – and is apparently being introduced to widen Apple’s product variety and to maintain its dominance in the tablet market with “high sales” of products like the $200 7” Amazon Kindle Fire and the ASUS Transformer Prime. This sounds ends like complete BS to us. I’ve been covering companies like Apple, Samsung, Motorola for enough time to know how they operate. The likes of Samsung and Motorola release a wide variety of device to capture whatever share is left after Apple has gobbled up the majority share with just one amazing device – in this case, the iPad. The 9.7” iPad is selling like hotcakes and will continue to sell like hotcakes. It’s the most sold today: it’s so popular, in fact, that when people want a tablet, they don’t actually say they want a “tablet”, they say they want an “iPad”. I think the reporter already knows about the iPad’s popularity and that is why they have included a sort of disclaimer in the report which goes something like: Apple regularly discusses new designs with suppliers and may opt to not actually go ahead with this smaller iPad. As we’ve stated before, the iPad 3 is strongly expected to be announced in the first week of March. According to various rumors and reports, it will come with a faster chip (more efficient dual-core A5 or a quad-core A6), a bigger battery, a larger camera sensor and a 2048×1536 Retina Display.